Psychotherapy breakthrough? SRT: How to help clients quickly. 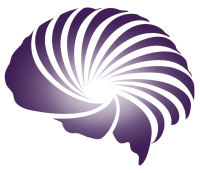 Home » Blog » Psychotherapy breakthrough? Psychotherapy is hugely ineffective. Only around 30% of therapy clients improve as a result of therapy. If you have studied the placebo effect you will know that figure. To be clear: therapy is no more effective than a placebo. In fact, in many cases a placebo is more effective. Why is therapy so ineffective? Here is my take: most types of therapy miss the one magic moment. Is this a psychotherapy breakthrough? To many people, helping clients by taking them to the point of self-responsibility seems an entirely obvious and necessary step, and thus is no breakthrough. Yet, it is not taught in therapy training. So we have to ask again, why is most therapy so utterly ineffective? Because most psychotherapy schools completely miss the magic moment; they fail to encourage self-responsibility. Indeed, many schools actively encourage the abdication of self-responsibility; blaming such factors as ‘societal structure’, ‘family constellation’, and a whole host of other factors that say: “There, there; it’s not your fault.” Many other schools actively encourage a state of dependency in the client, lasting for years. 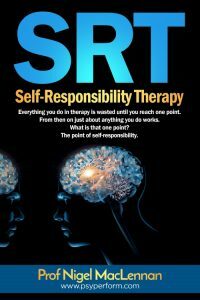 SRT (self-responsibility therapy) is about getting the client to the point of self-responsibility as quickly and as permanently as possible. How quickly? In just one session for most clients, two sessions in very few people, and three, almost never. How is that possible? Is it really a psychotherapy breakthrough? If you provide psychotherapy, or counselling, or help others to improve their lives or solve their problems, you can learn the techniques of SRT (self-responsibility therapy); you can learn how to take clients to the point of self-responsibility. If you make your living from psychotherapy, you may want to avoid SRT; it will dramatically reduce your income. You may even want to call for a book burning. In fact, when I have presented the SRT case to large numbers of therapists, who make their living from therapy, it will come as no surprise that most are actively hostile to SRT (audio recording and written statements available). You won’t need too many guesses to figure out why those who make their living from unending expensive therapy are so hostile to SRT. By contrast, ethical therapists embrace it and ask intelligent questions such as: how do I get my clients to the point of self-responsibility, quickly and reliably? If you genuinely want to help people then SRT may be the breakthrough you have been looking for. You can learn about SRT on our SRT training programme and through the book provided as part of the course. Contact www.psyperform.com/contact to ask for a free sample for the book SRT: Self-responsibility Therapy by Nigel MacLennan. If you ask for the sample, we will also send you relevant information about SRT. If you do not want to receive this information please do not ask for the sample.